ESPORTS, LIVESTREAMING & SHOUTCASTING: GET IN THE GAME! Join us for workshops on livestreaming, shoutcasting, and forming your own Esports team. This event is free and open to all ages of the public. 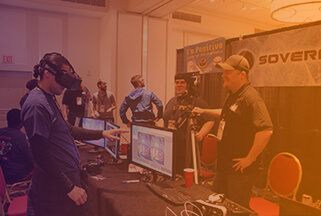 Register for your ticket to be entered to win a free pass to the Southern Interactive Entertainment & Game Expo (SIEGE) in October, and more! Basics of the business ­ development to sale, terminology, crew positions, definitions, and hierarchy. Overview of the film and television industry, including commercials, industrials, and music videos. 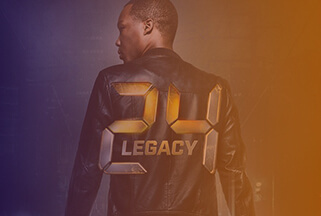 Limited number of slots guaranteed for DeKalb Residents To qualify, send a copy of your Driver’s License showing your DeKalb County residency (OR current mortgage statement Or current rental contract) AND a current utility OR phone bill showing that address and your name to: LindaB@AtlantaFilmSociety.org, and once verified, a code will be provided to you to receive the reduced rate. Your resume is your first impression, and film resumes look nothing like corporate ones. How to craft a film resume, whether you have experience or not. Mostly for crew, but we’ll touch on cast headshots and resumes as well. This two­day, bootcamp­style Production Assistant workshop is perfect for those just starting their career in the industry as well as those looking to advance their knowledge of what it takes to succeed as an office or on­set production assistant working on commercials, industrials, music videos, independent films, television series and studio features. The Producing Track and The Budgeting Track. This four-­hour workshop is the foundation for both series, although less important if you just want to learn how to breakdown and schedule, and/or budget a film as an assistant director or production manager. This workshop will leave you with a basic understanding of the process, allowing you to build upon that knowledge as we move from development and business proposals to break downs, scheduling, and budgeting your next project. Development is more than just rewrites. Development is the stage between idea and execution ­ execution beginning in pre­production. Proper development can make or break your chances of raising funds, finding a recognizable cast, getting the best crew and equipment necessary, and finding distribution. Proper development is crucial to success. Business Proposals are essentially business contracts with your investors and must be treated and crafted accordingly. While they do not take the place of a contract, they outline the plan you as a filmmaker have for the production as well as the sale of your movie ­ the ROI, or return on investment, that your financier will expect. This class will walk you through the basic content necessary to create a proper plan for your film from team bios and your dream cast to your top sheet budget and distribution plan. Paying someone to breakdown your script elements properly can be very expensive. If you want to be a good producer, assistant director, or production manager, everything starts with understanding this process. Once your film has been properly broken down, you can create a rough schedule to help determine how long your film will take to shoot, how long you’ll need to book actors and crew, rent equipment, materials, and services, how many locations you’ll need to find, etc. This is the foundation for proper budgeting. Budgeting isn’t a formula. Each project is different, but some basics do apply. You start with a complete breakdown and a rough schedule. Without doing that work, you can’t properly estimate the cost of your production. How long will it take to prep, shoot, and wrap? How many days will you need the actors and extras? How many days do you need at each location? How many wardrobe changes per actor plus duplicates will you need? What about props and set dressing rentals? All these budgeting questions and more will be covered in this class. This two day, bootcamp-­style Production Assistant workshop is perfect for those just starting their career in the industry as well as those looking to advance their knowledge of what it takes to succeed as an office or on­set production assistant working on commercials, industrials, music videos, independent films, television series and studio features. The Broadleaf Writers Association is, at its heart, a nonprofit educational organization of writers and writing professionals assembled to instruct and inspire writers in their efforts to refine their craft. We aim to educate writers through seminars, webinars, programming, an annual conference, peer groups, and networking events that employ editorial minded associates willing to lend their time and energy helping writers grow as artists. Getting published is the goal of every writer. We believe the craft of writing is the key to publication, and it is our desire to inspire writers reach that goal. The Southern region is deep in a varied collective of talented writers in need of a spotlight. Through our efforts, through the community of writers we cultivate, we hope to establish an atmosphere designed to bolster the skill and understanding of writers both young and old, from any genre. 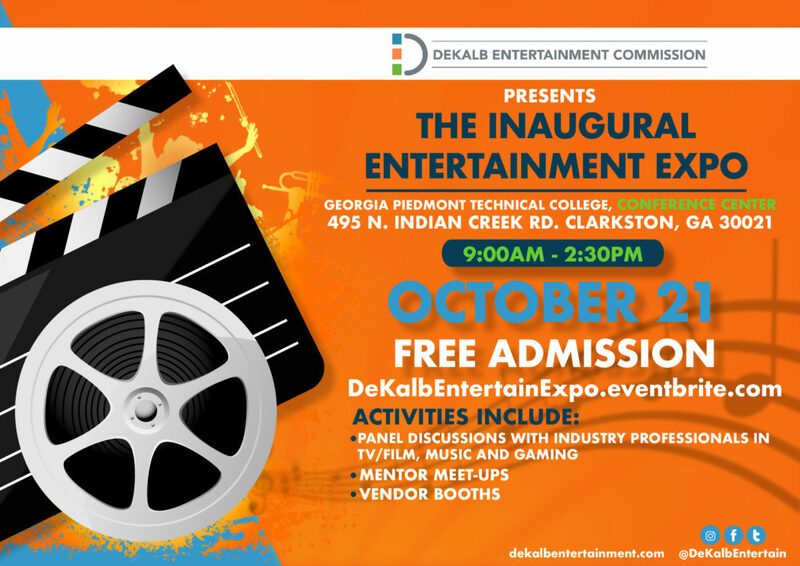 The DeKalb Entertainment Commission (DeKalbEntertainment.com) offers businesses in Georgia’s fast-growing entertainment industry access to a collaborative, supportive infrastructure which accelerates the growth and success of creative ventures in film, television, music and digital entertainment. 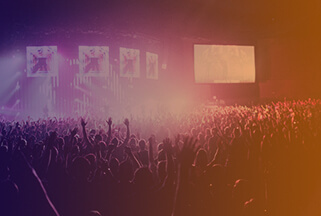 Next Next post: LiveStreaming, Shoutcasting and eSports!